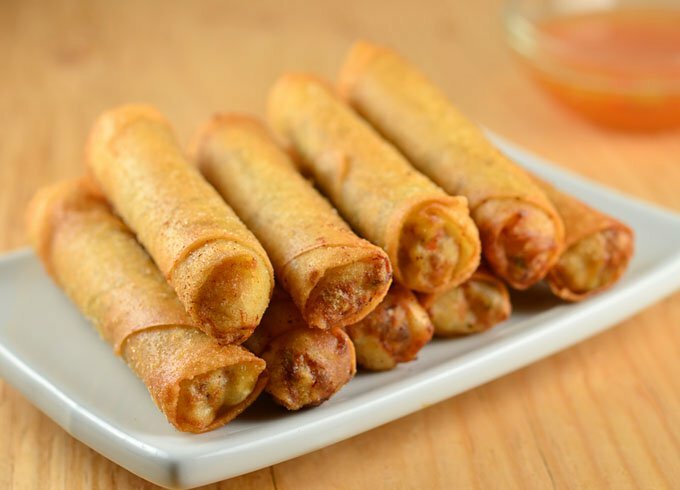 The cuisine of the Philippines has been influenced by many countries including China, Malaysia, India, Spain, Mexico, and America. 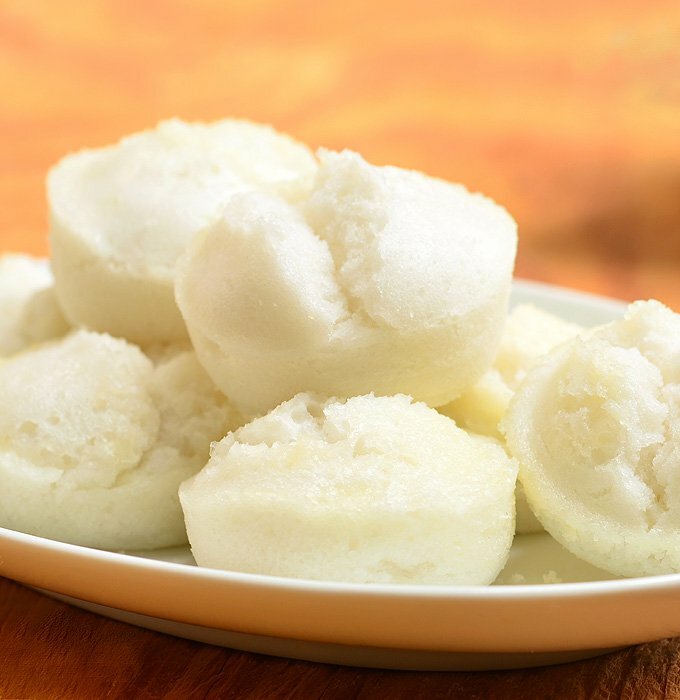 But the three dishes that are considered original Filipino recipes without outside influences are adobo, kinilaw, and sinigang. 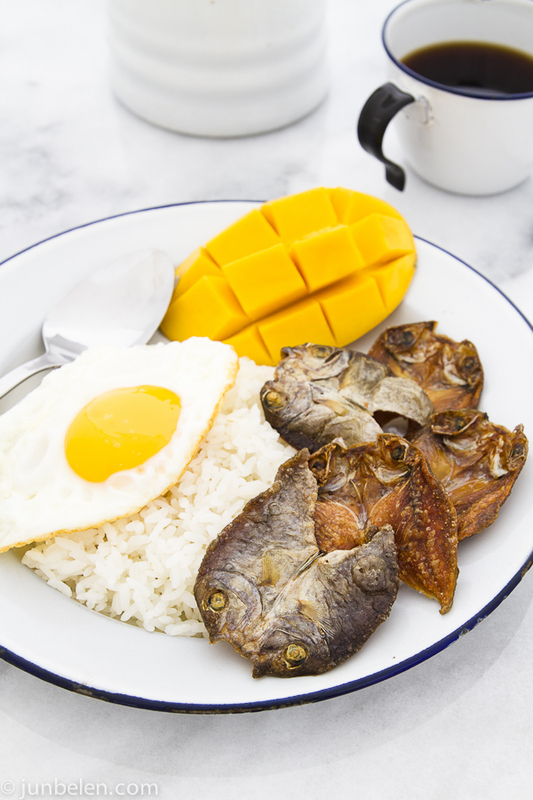 Filipinos love food and often eat 5 times a day: breakfast, morning merienda (snack), lunch, afternoon merienda, dinner, and even a midnight snack as a sixth meal. 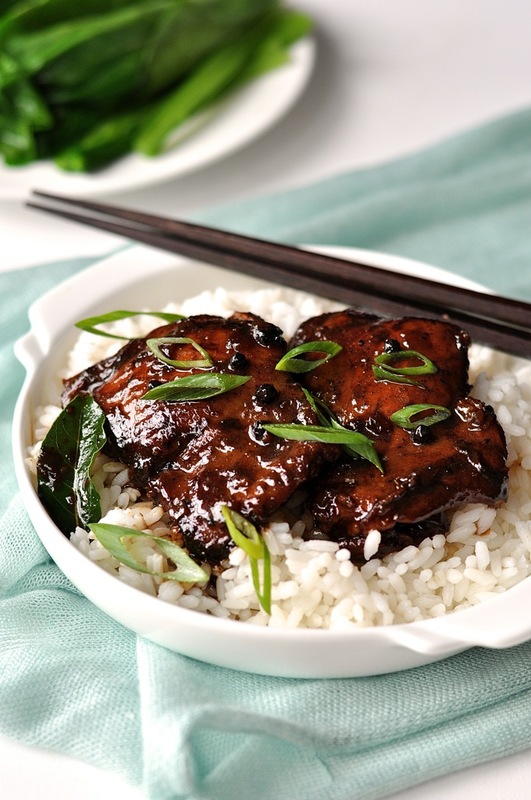 Unlike some of the nearby Asian countries that have spicy cuisine (Korean, Thai, Indian), Filipino food is typically sweet, sour, or salty. 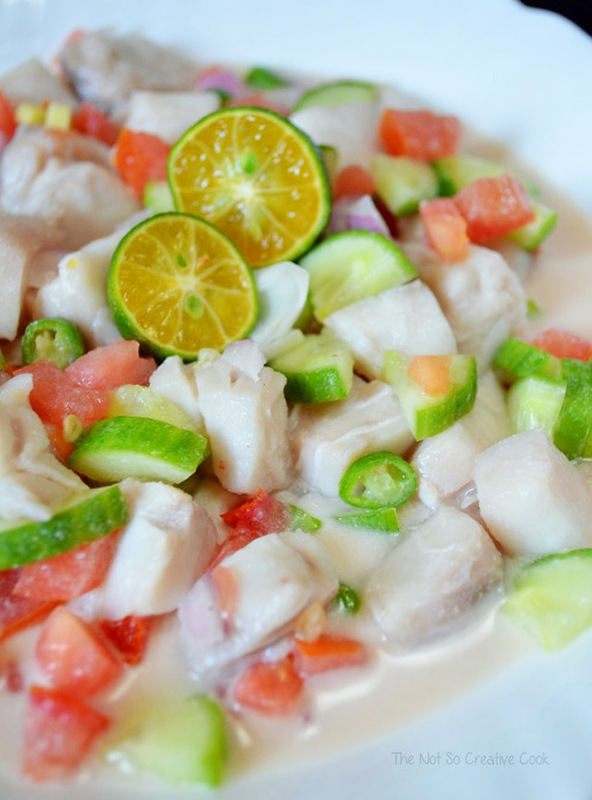 Because the Philippines are comprised of thousands of islands, fish is the main protein in their diets, followed by pork. 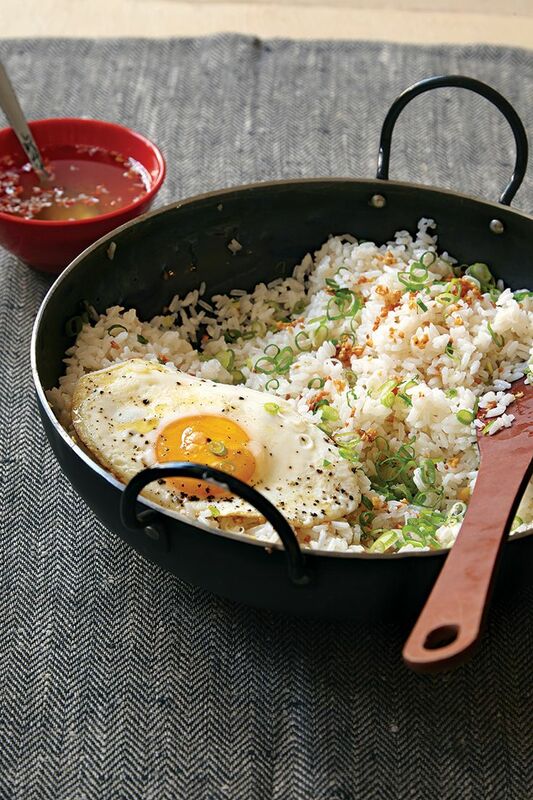 Rice typically accompanies every meal. 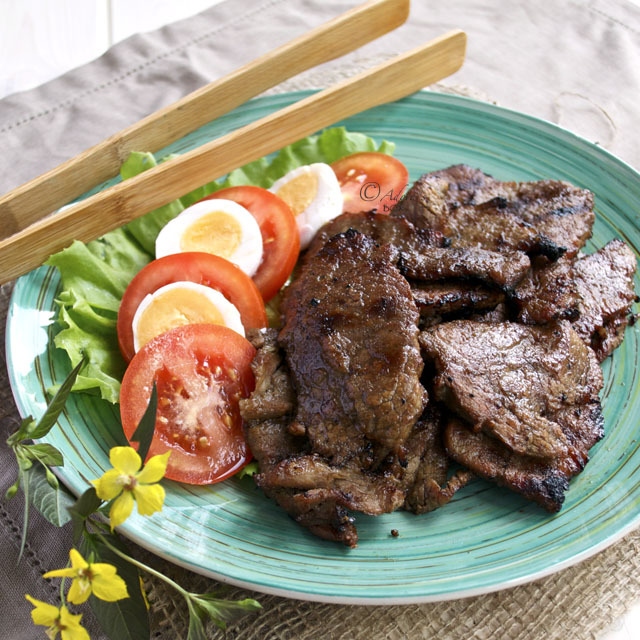 Beef Tapa – Fried beef slices that are part of the popular “tapsilog” breakfast combination – tapa (dried, cured meat), sinangang (fried garlic rice), and itlog (fried egg). It can be applied to almost any kind of meat, including Spam aka spamsilog! 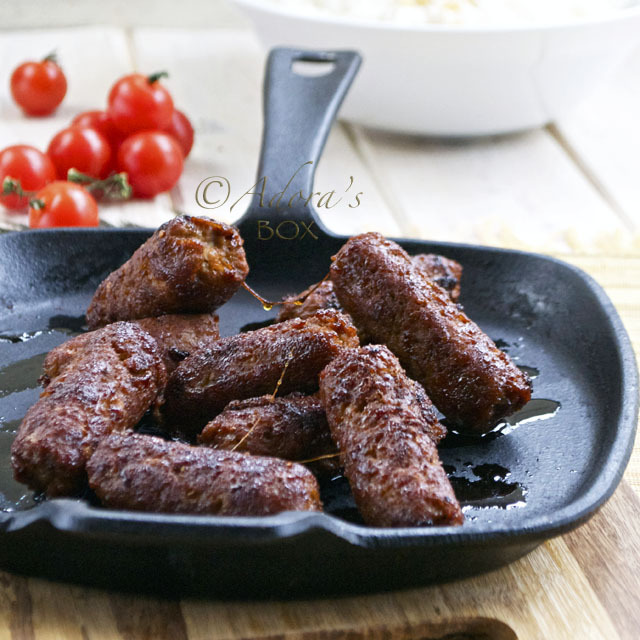 Longganisa – Filipino sausage. When served with garlic rice and egg it’s called longsilog. 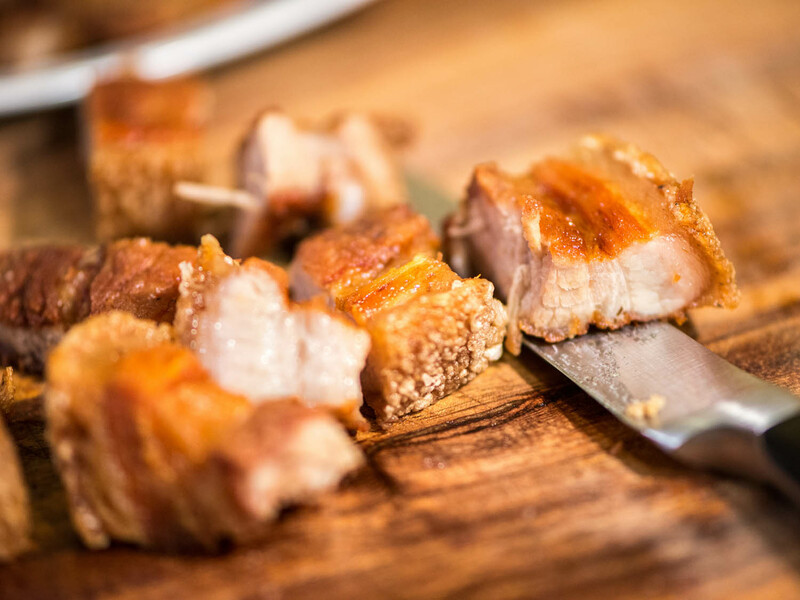 Tocino – Sweetened, cured pork and tocino (tocilog). 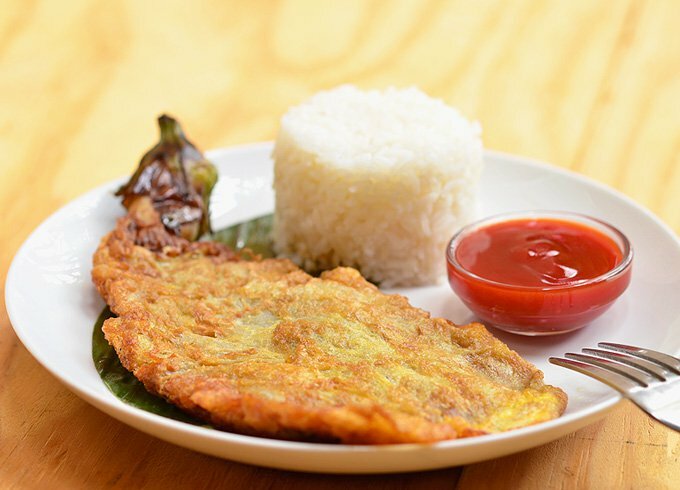 Tortang Talong – Eggplant omelette often eaten for breakfast. 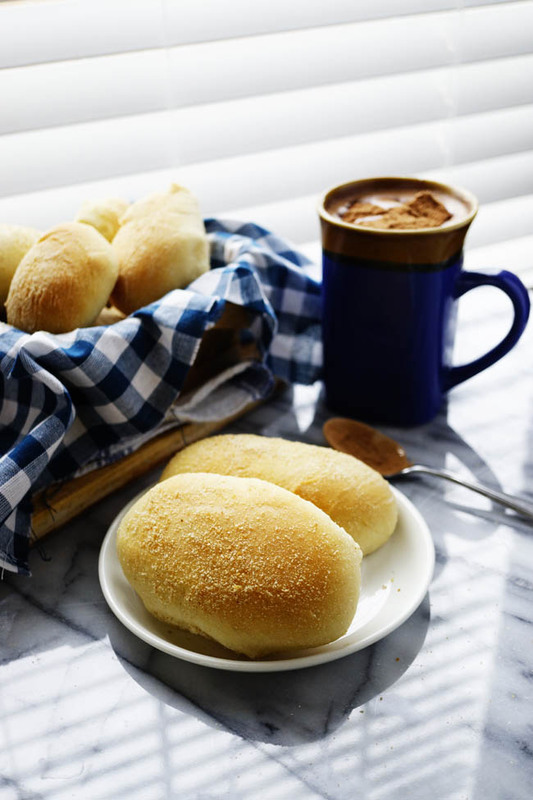 Pandesal – A bread roll often eaten for breakfast or merienda. 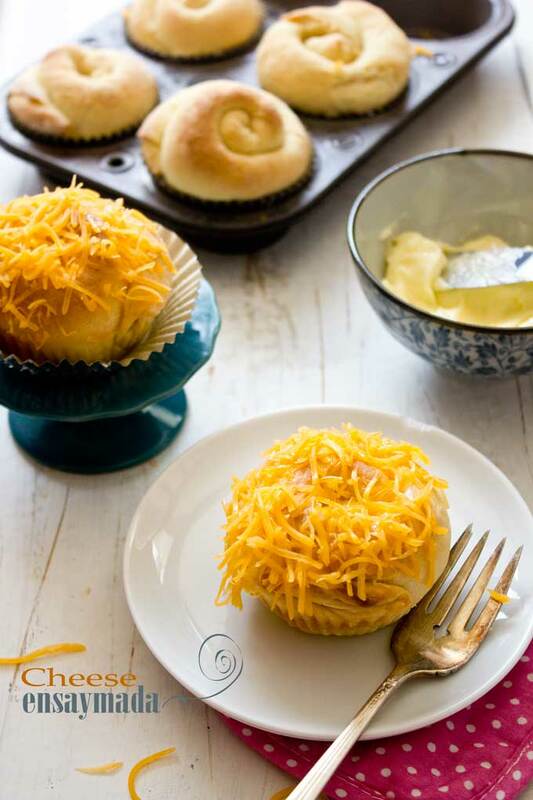 Ensaymada – A sweet brioche bun topped with cheese, often eaten for merienda. 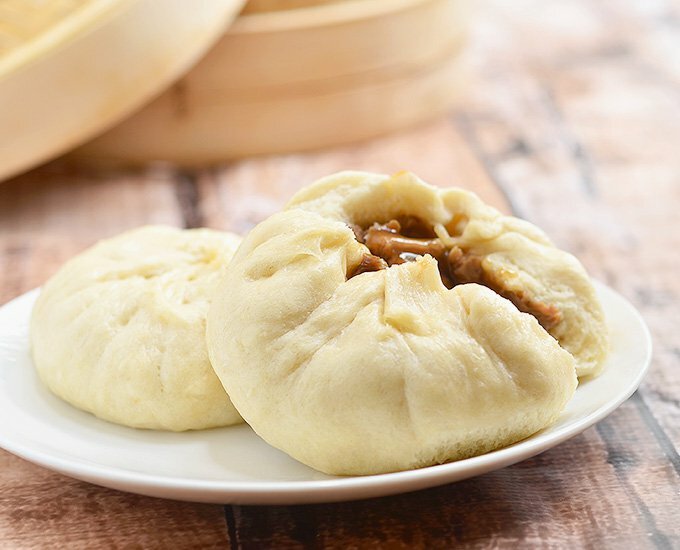 Siopao Asado – Steamed pork buns. 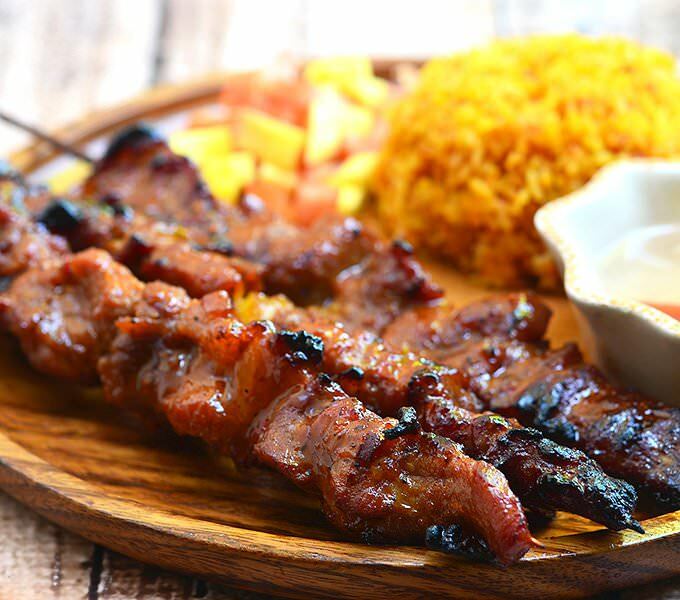 Barbecue Pork Skewers – A very popular street food, also made with chicken and intestine. Kinilaw – Raw tuna cocktail similar to ceviche. 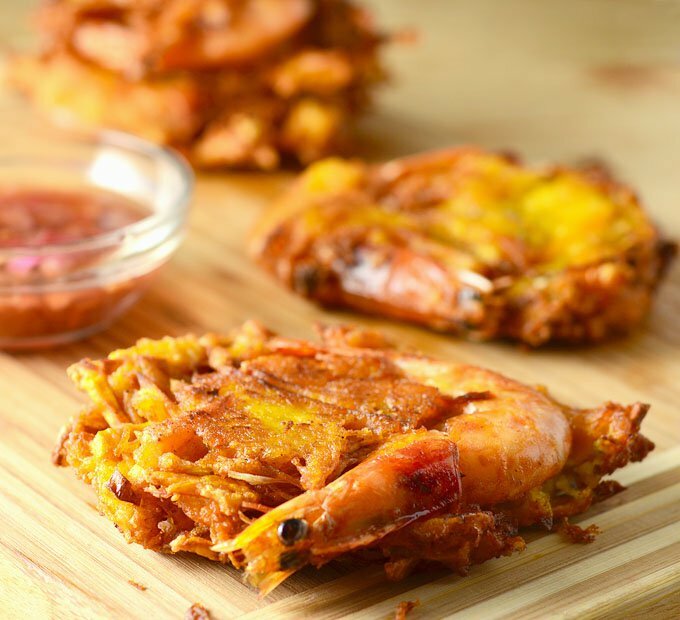 Ukoy – Fried shrimp and vegetable fritters. 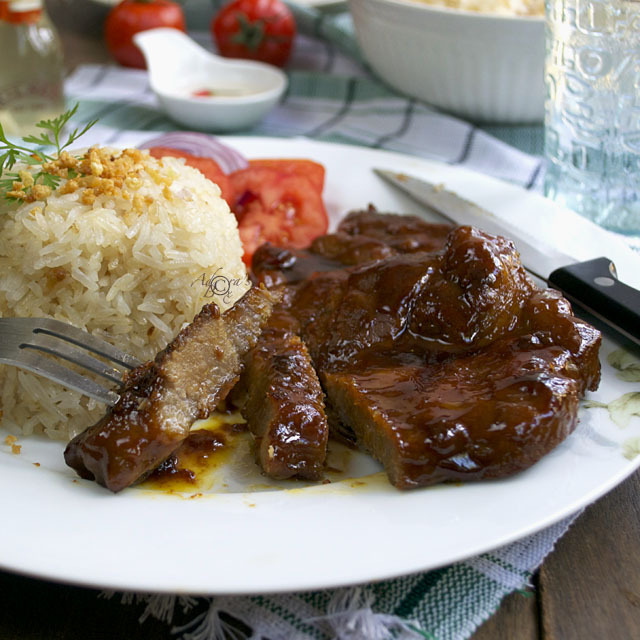 Adobo – chicken or pork cooked in vinegar and soy sauce, and the most popular and famous Filipino dish. 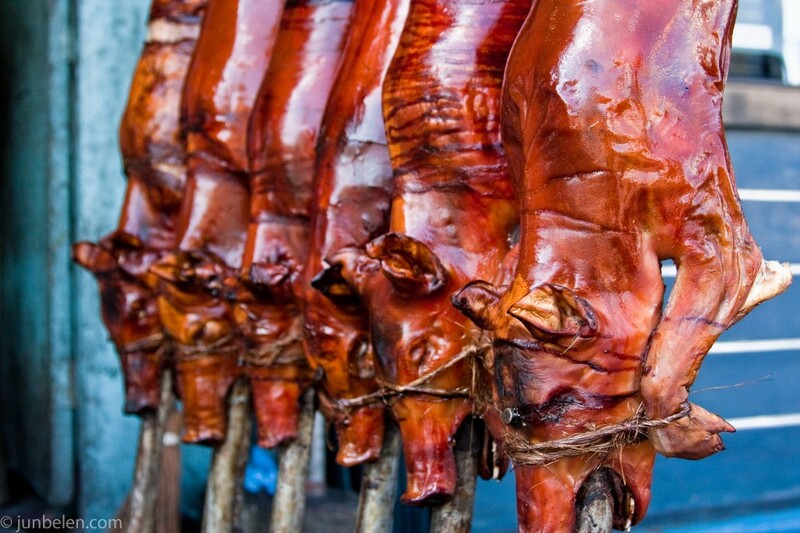 Lechon – Whole roasted pig typically served on special occasions like birthdays and holidays. 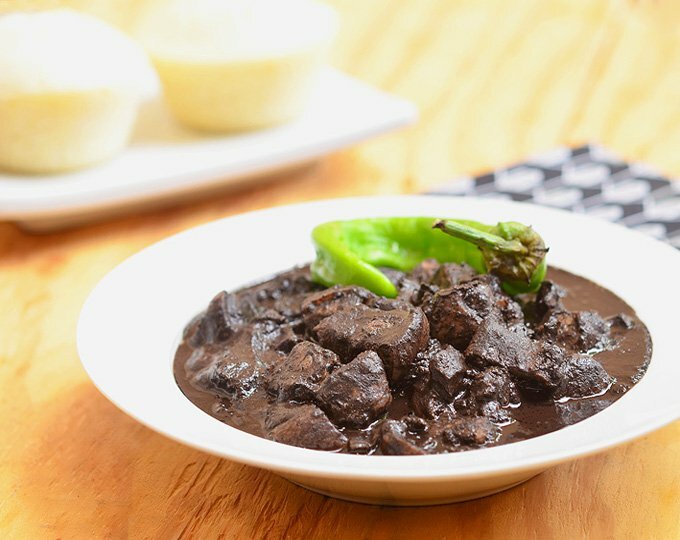 Dinuguan – Pork blood and innards stew, often made with the offal when cooking lechon. 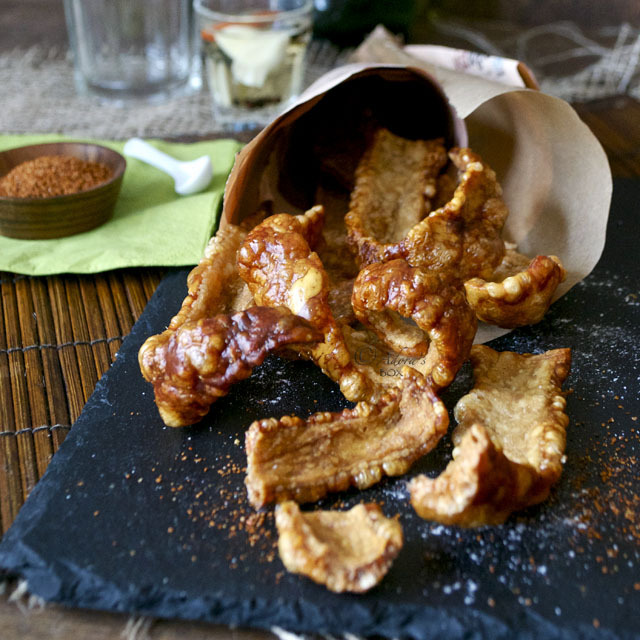 Lechon Kawali – Crispy fried pork belly. Need we say more? 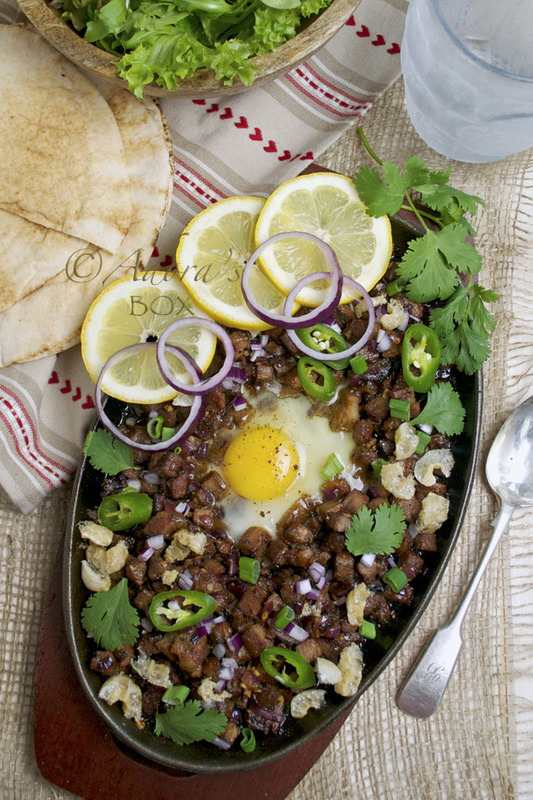 Sisig – A dish eaten as an appetizer, snack with beer, or even as a main dish, “sisig” means to snack on something sour. 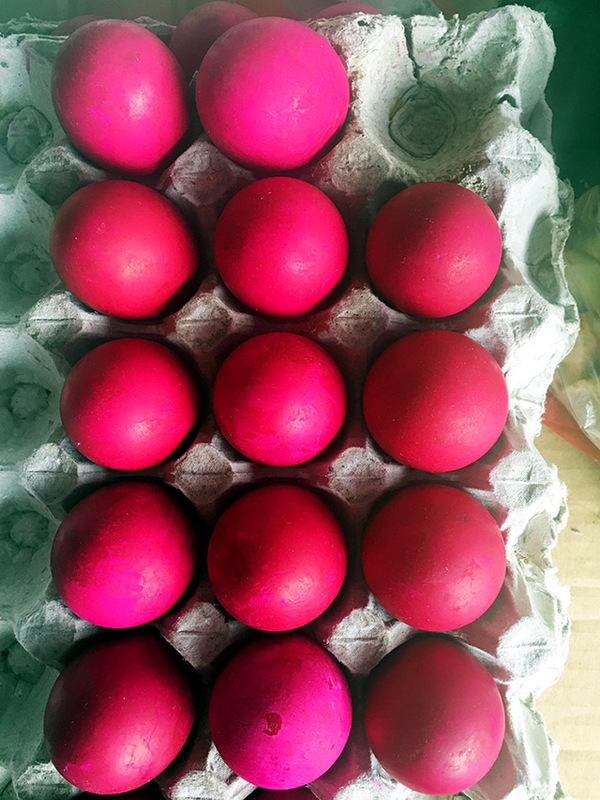 Pork parts (head, liver, cheeks, ears) are boiled then grilled with onions, chiles, citrus, and topped with an egg. 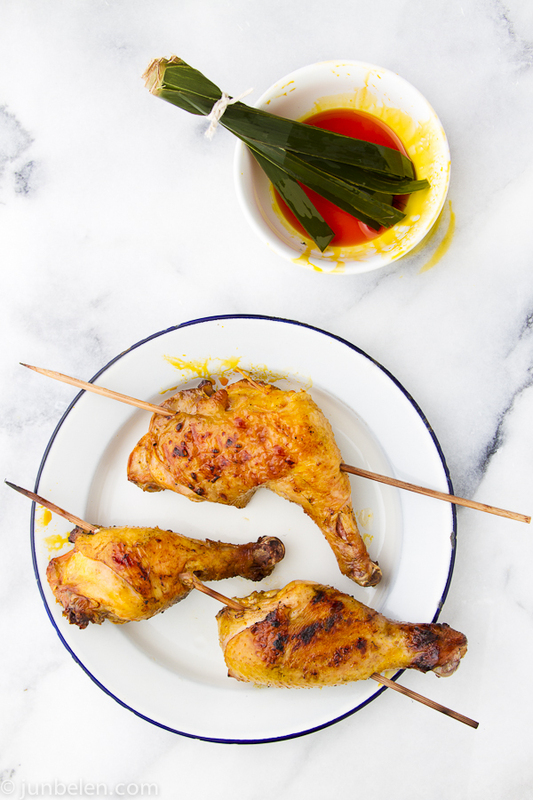 Chicken Inasal – This is the chicken or pork that you eat on the island hopping tours. Best when cooked over charcoal! 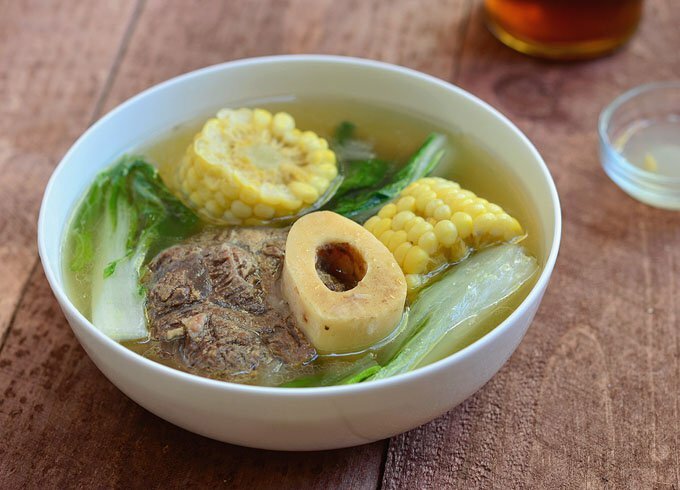 Bulalo – Beef shank and beef marrow soup. 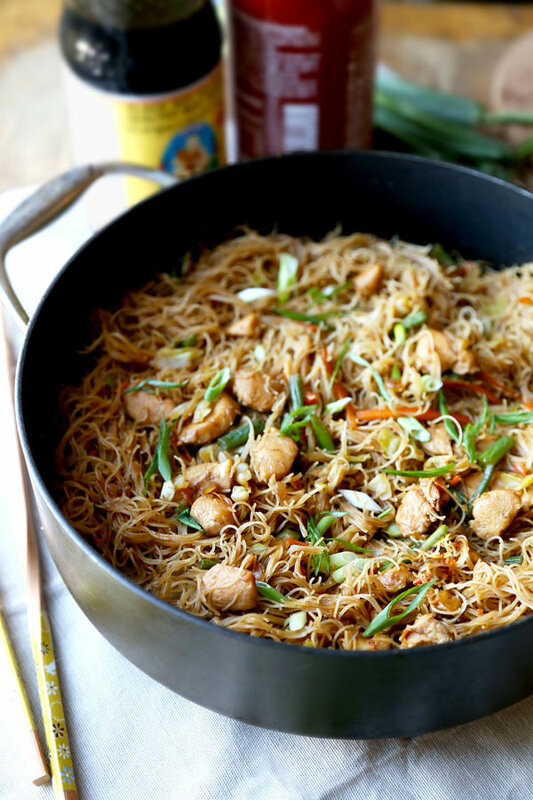 Filipino Spaghetti – Often served on children’s birthdays as it’s a favorite food! 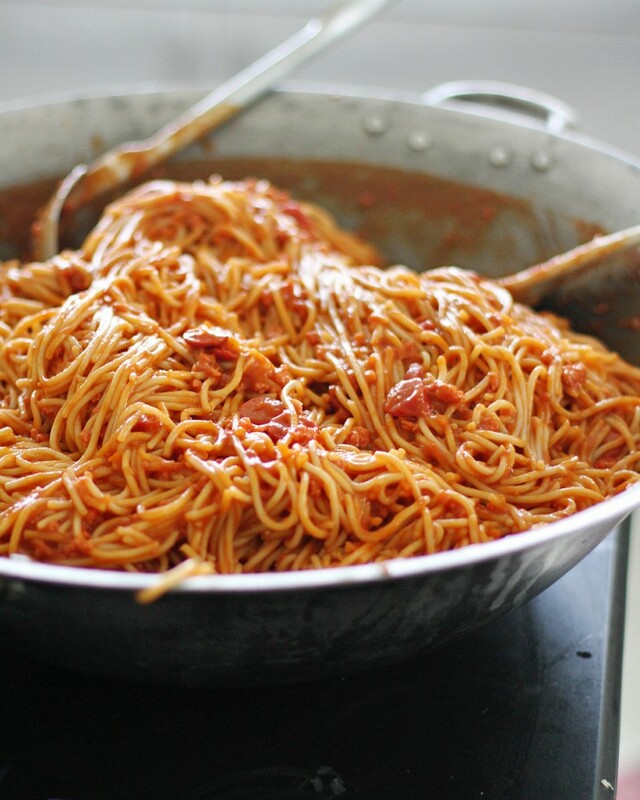 It includes hot dogs and is made sweeter than traditional spaghetti by adding condensed milk and/or banana ketchup. 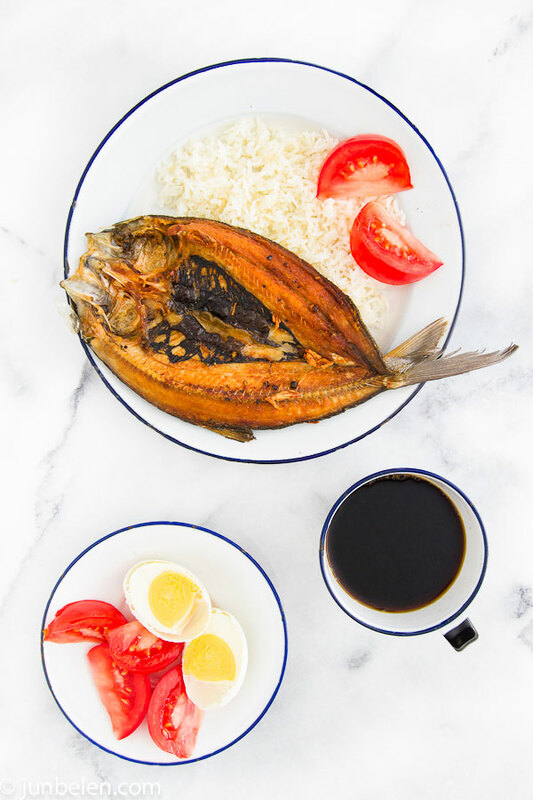 Daing na Bangus (fried milkfish) – This is one of the most popular fish to eat either dried and fried or fresh and grilled, despite its abundance of small bones. 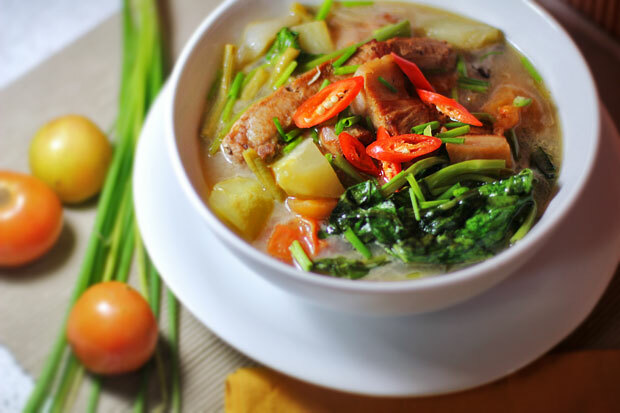 Sinigang – Tamarind based soup with meat or seafood. 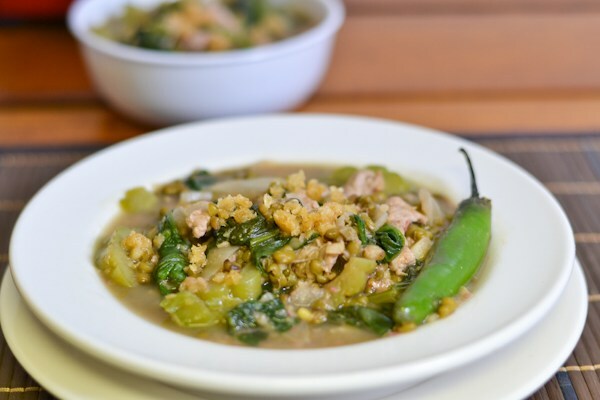 Munggo Guisado – Mung bean soup that is a Filipino comfort food. 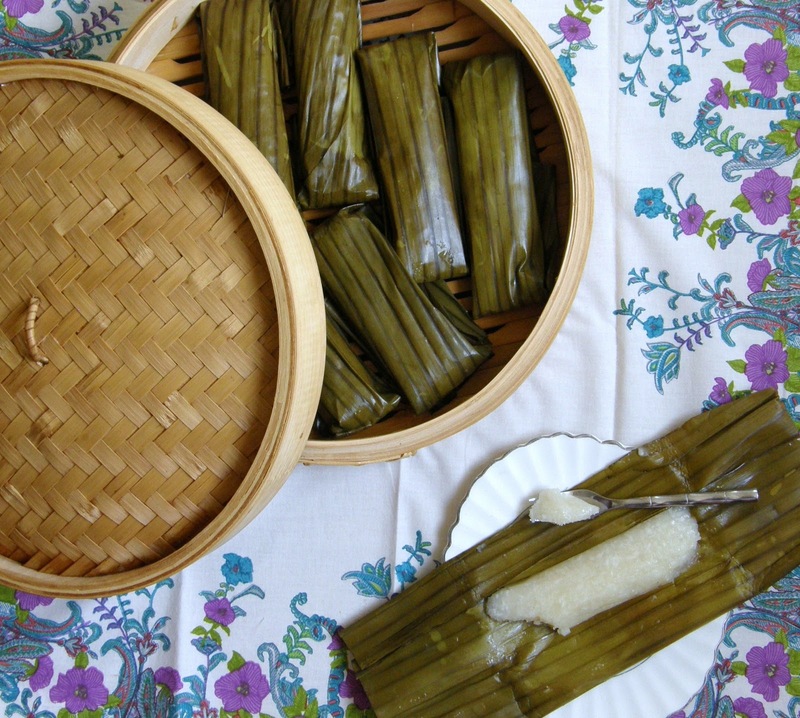 Locals use malunggay (moringa leaves), but you can substitute spinach or kale for it. 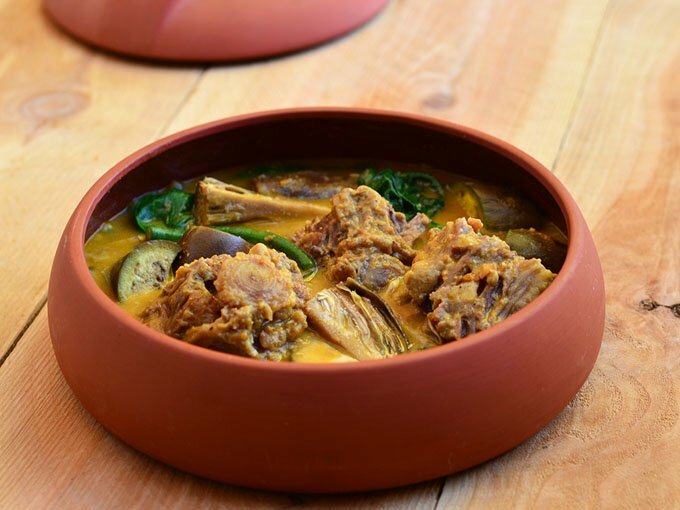 Kare Kare – A traditional Filipino stew made with a savory peanut sauce and oxtail, pork leg, or tripe. 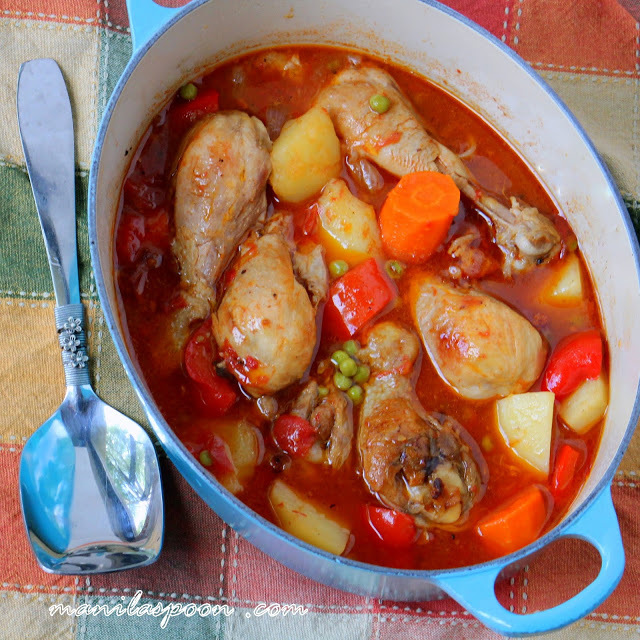 Chicken Afritada – This hearty tomato based stew can also be made with pork and originates from Spain. It is usually eaten on special occasions. 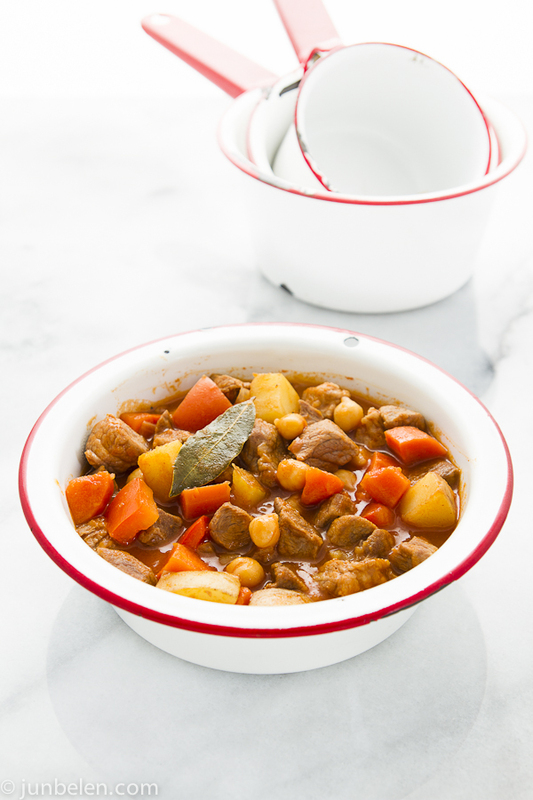 Pork Menudo – Similar to afritada, this is a classic tomato-based Filipino comfort food. 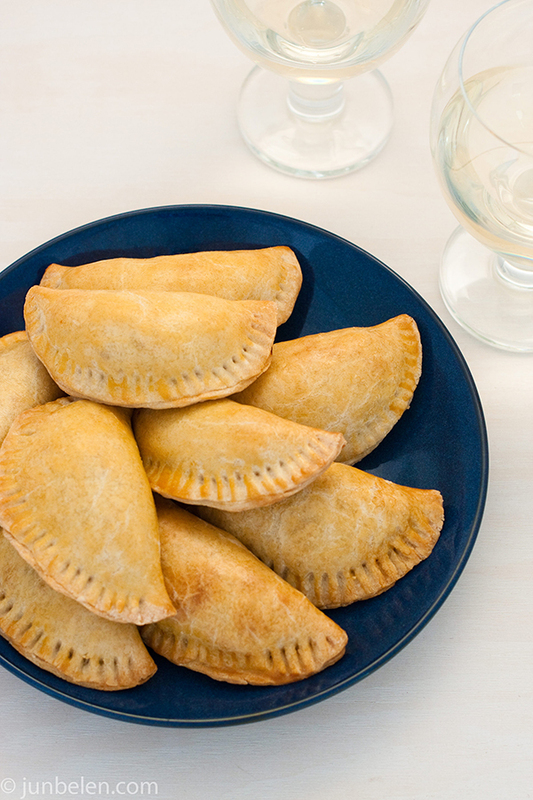 It doesn’t have much in common with the Mexican dish of the same name, and there are many different versions of this depending on the region. 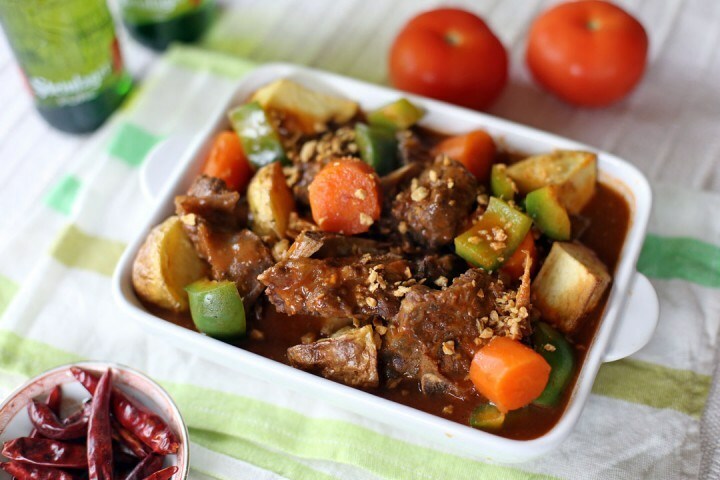 Beef Kaldereta – A tomato based spicy beef stew that is usually made with goat on special occasions. 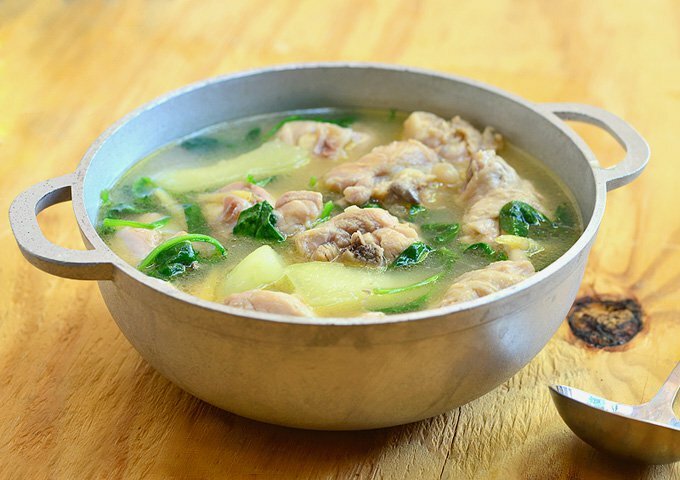 Chicken Tinola – chicken, papaya, malunggay leaves, spinach in a ginger broth. 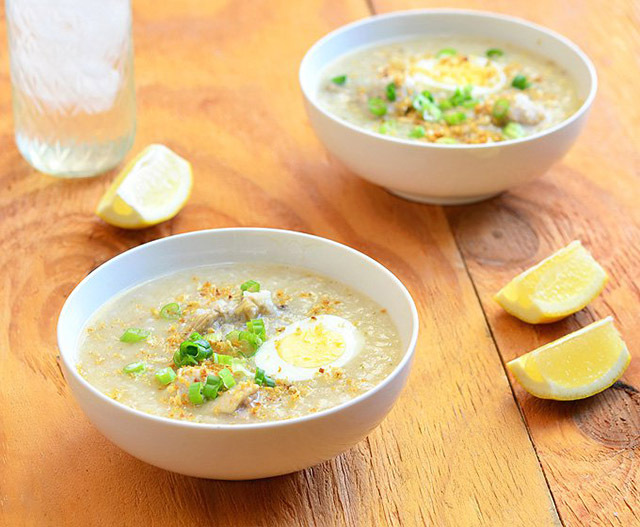 This is the Filipino version of chicken soup. 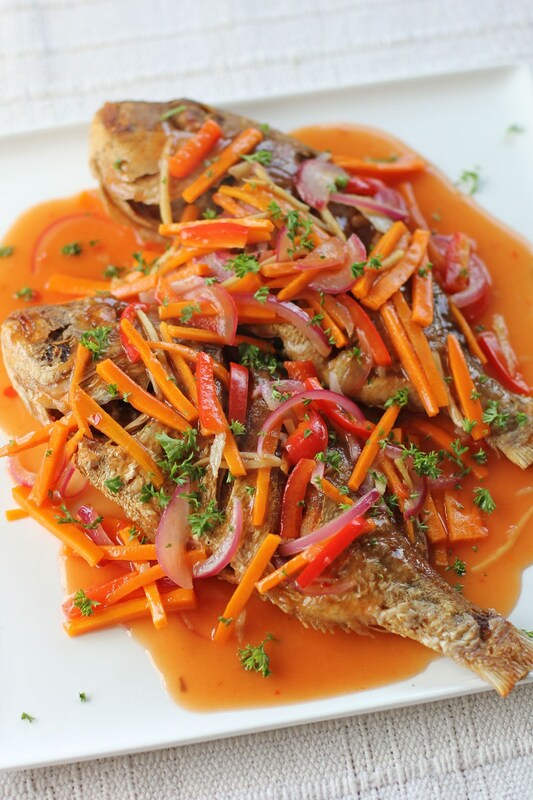 Escabeche – Escabeche is the Spanish word for ceviche, but the Filipino version is a fried fish dish with a sweet and sour sauce. 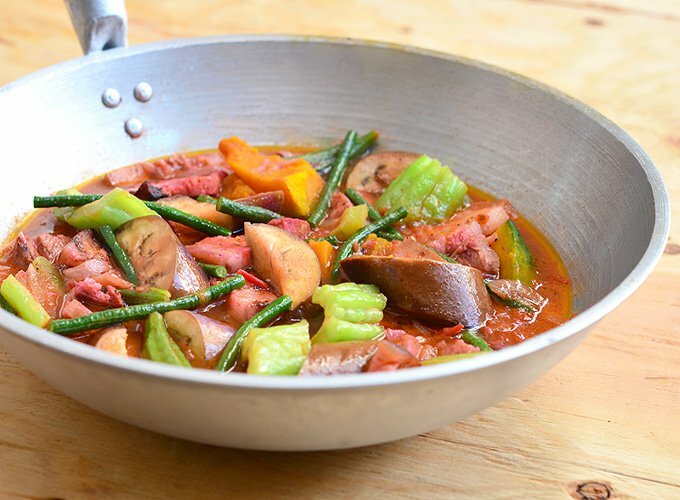 Pinakbet – Vegetable stew that is similar to ratatouille, although pork may also be added. 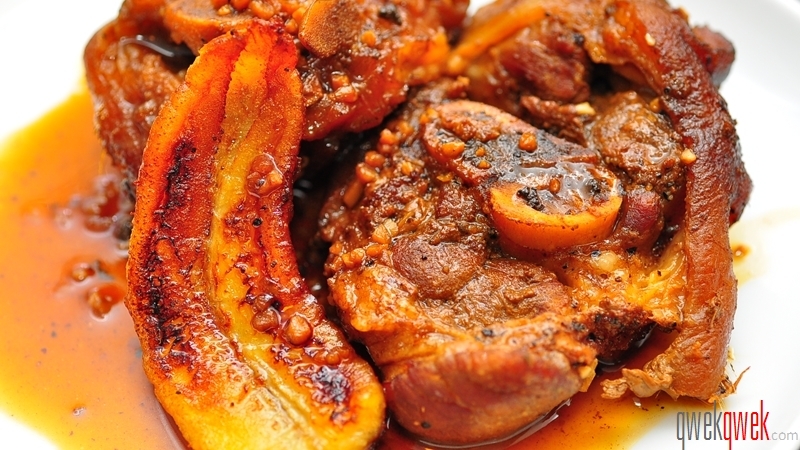 Pork Estofado – Stew made with pig trotters. 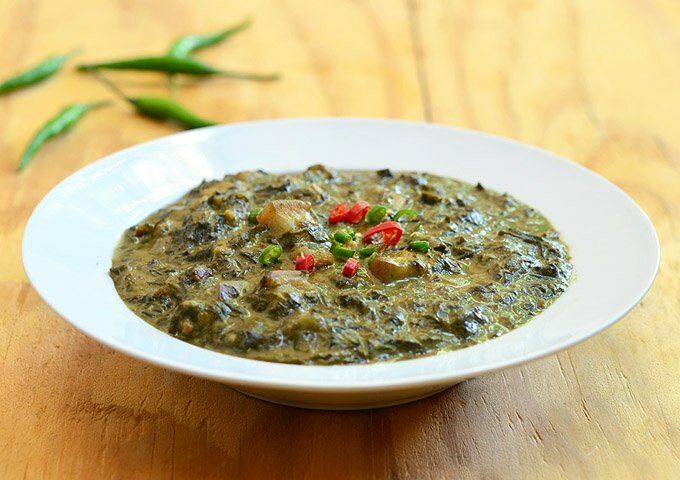 Laing – Vegetable dish made with dried taro leaves and coconut milk. 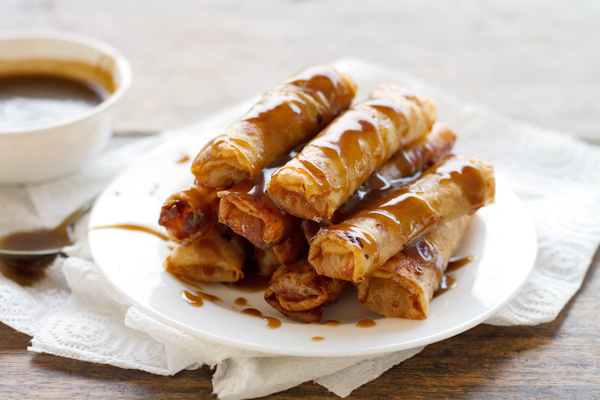 Banana Lumpia (Turon) – A popular snack or dessert, often sold by street vendors. 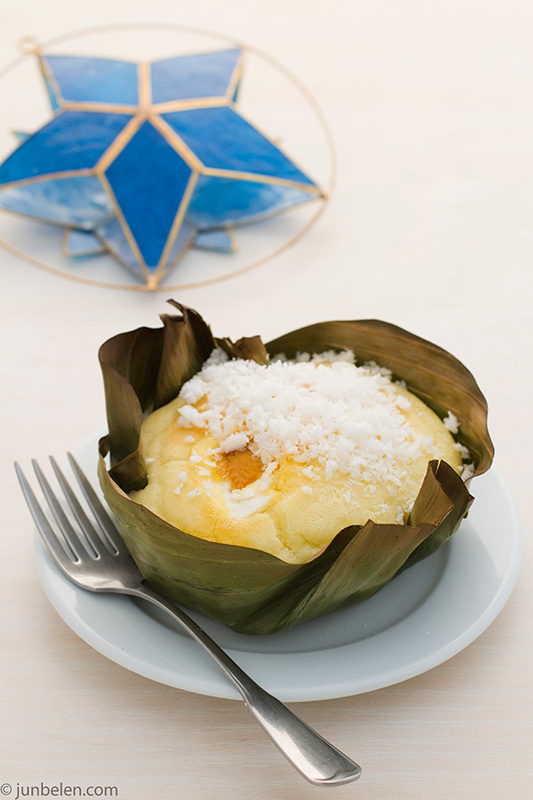 Bibingka – Traditional holiday rice cakes baked in banana leaves and eaten around Christmas. 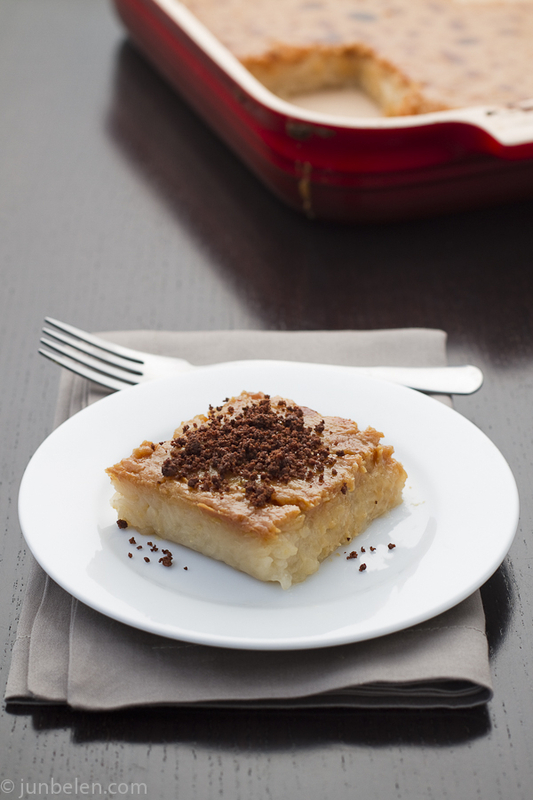 Biko – Sticky rice cake made with coconut milk and brown sugar. 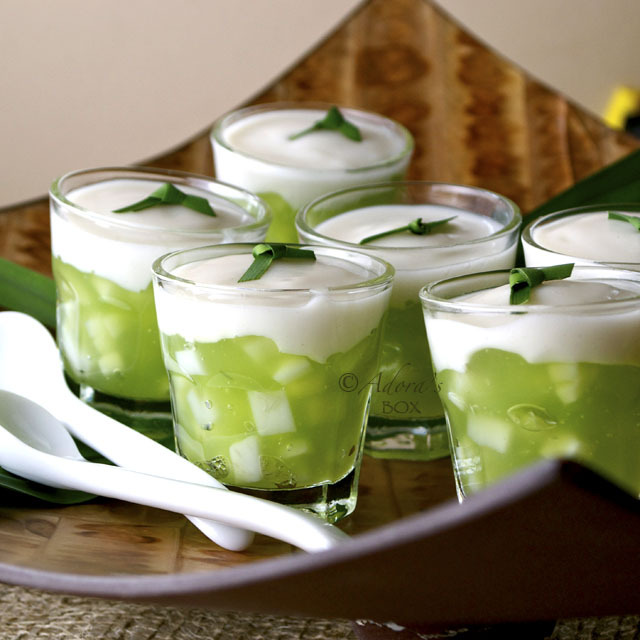 Buko pandan – Pandan flavored jelly with coconut milk. 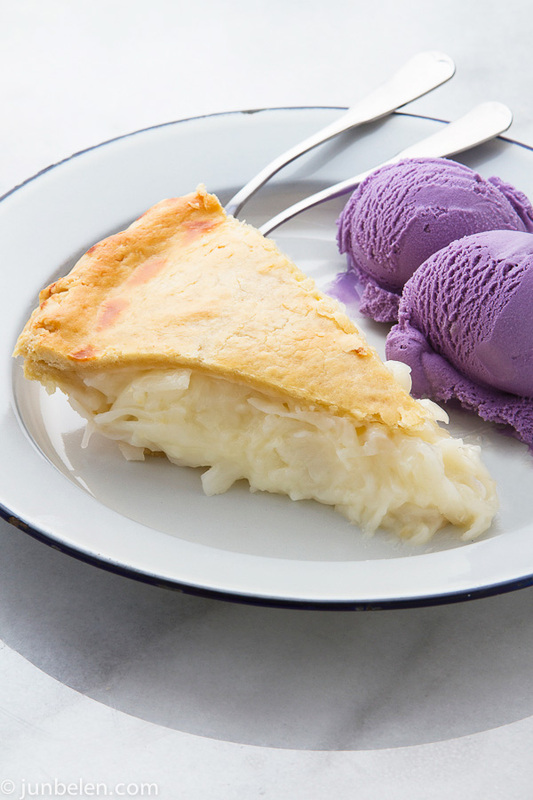 Buko Pie – Young coconut pie. 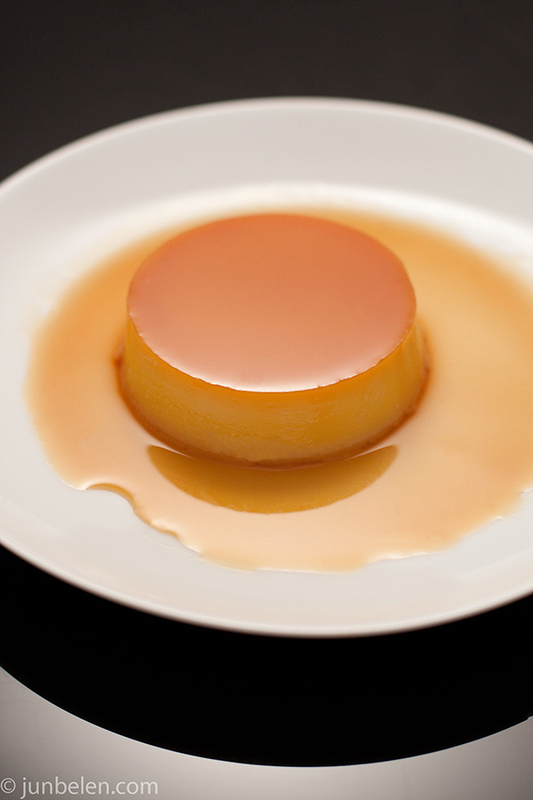 Leche flan – A sweeter version of the popular Mexican dessert. 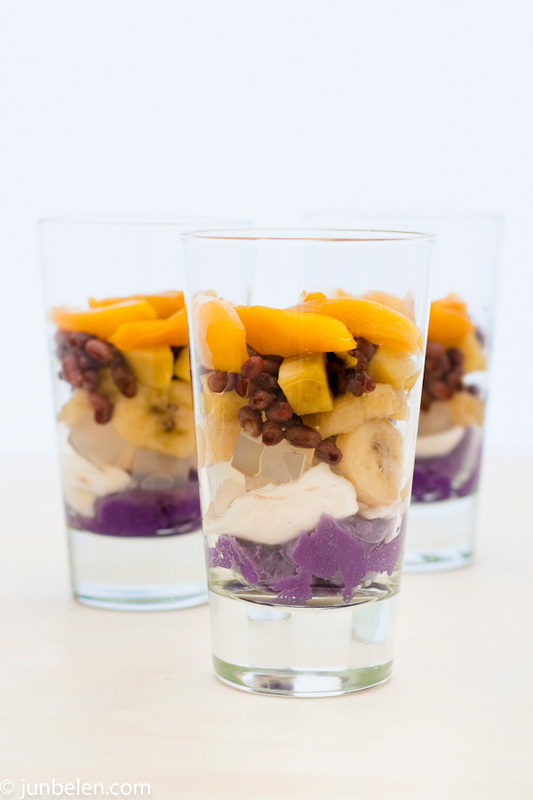 Halo Halo – Tagalog for “mix mix,” halo halo is a Filipino shaved ice dessert with purple ube ice cream.